My video game tastes for the past several years have been geared towards military shooters like Call of Duty, Modern Warfare, Metal Gear Solid, and more recently fantasy RPGs like Skyrim, which deserves a separate post altogether. The producers of these games use cutting edge technology to make the games as realistic and as gorgeous as they can while providing orchestral background music and sound effects that sometimes rival those you hear when you go to the movie theater. So it’s a nice change of pace when Hyper Light Drifter comes along, an upcoming old school 2-D action science fantasy RPG game, that’s made to create a style of game that’s similar to the 8-bit and 16-bit console games of decades past, a time I vaguely remember and had forgotten, but enjoyed nonetheless. I’m sure there’s a plethora of old school games that have been made recently, but unfortunately I’m too stubborn in my ways to allow those games a chance. 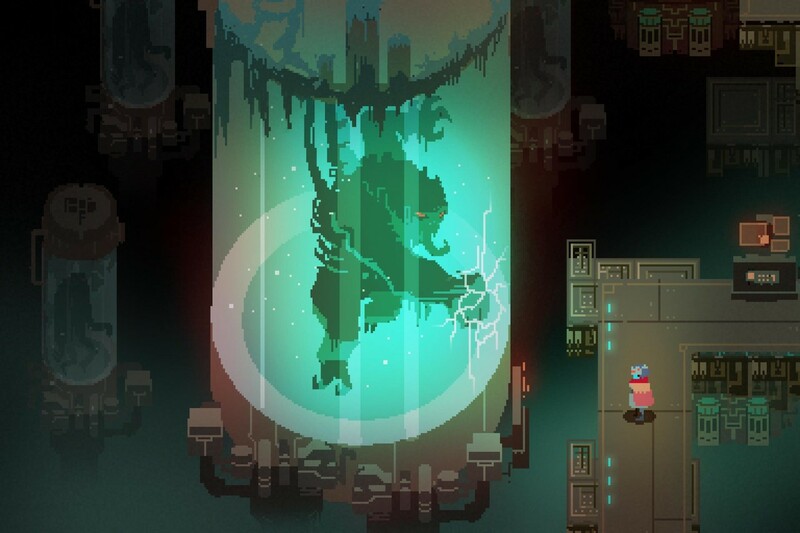 The way Hyper Light Drifter came across my radar was word of mouth and on the internet regarding games that are influenced by a mix of science fiction and fantasy elements. Check out the trailer below and a recently released clip of some action in the game. The creators are able to convey an atmospheric tone that isn’t lost by the 2-D nature of the game, from the wonderfully designed environments to the simple and moody midi music. My only complaint is that I wasn’t able to get on the Kickstarter to back this game, although the producers are planning on making the Kickstarter goodies available to the public soon. The game is set to be released in June…summer can’t get here fast enough.